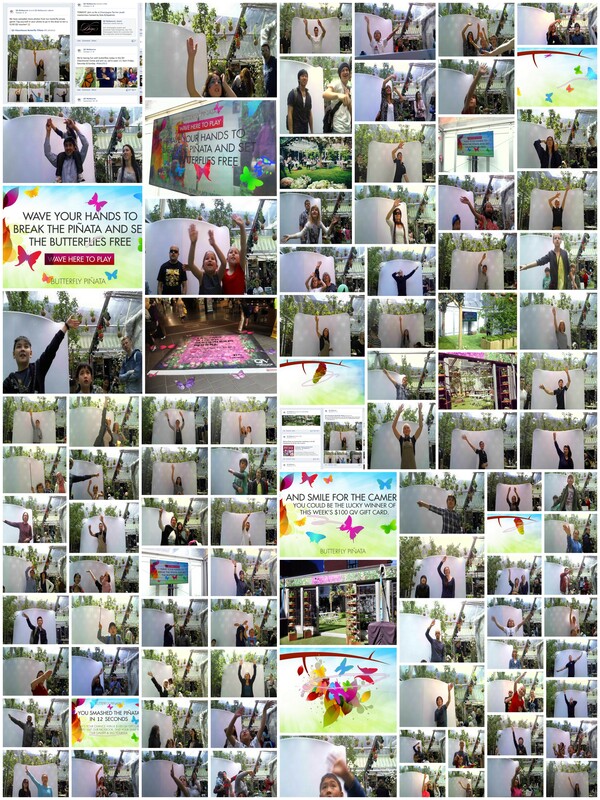 The ‘Butterfly Pinata’ was an interactive installation set up at QV Melbourne where visitors could play a game by waving their hands around and posting the picture online. 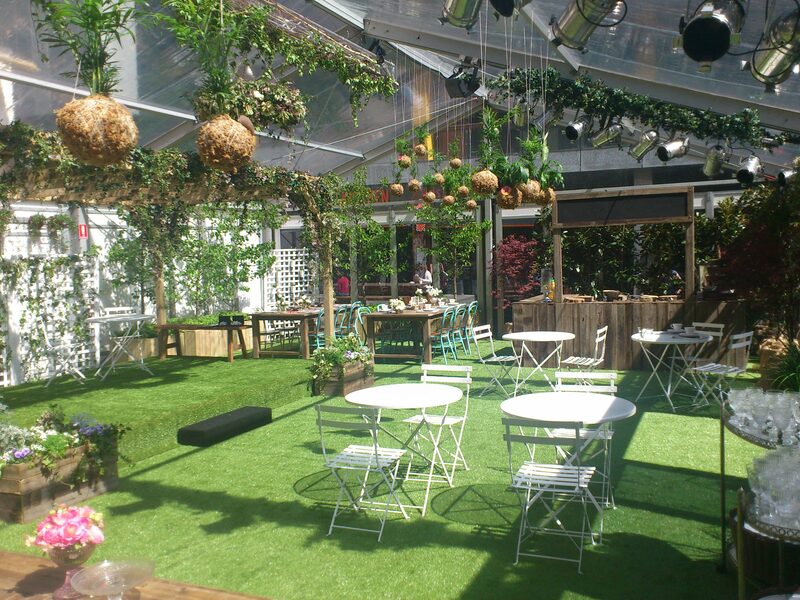 The project was set up for QV Melbourne’s Spring Festival, in a spatious area upon which a glasshouse was assembled. As a Technical Lead part of Bienalto Sydney, I worked remotely with Wunderman Melbourne’s Adam Horne (Creative Director) - advising on timelines, hardware, and different solutions. I developed a few protoypes with varying robustness to different environments that could be tested remotely. 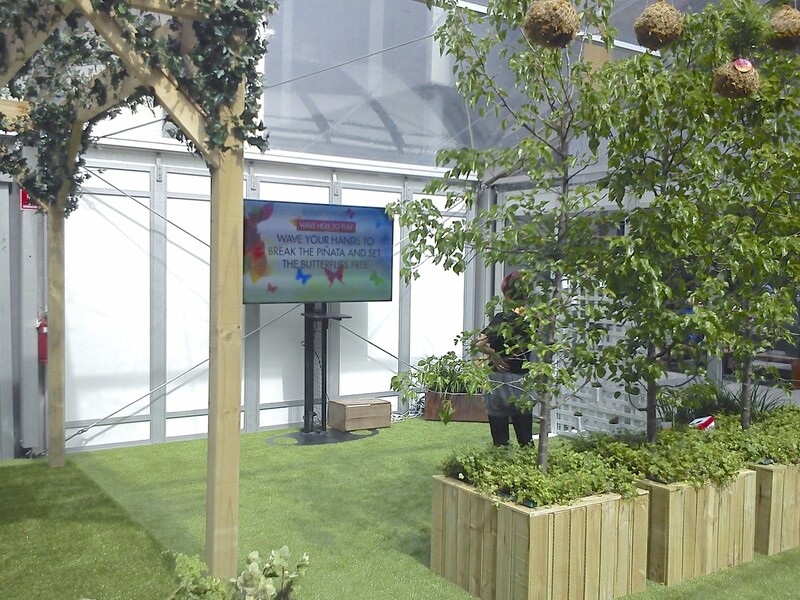 These included Kinect vision-based, mobile-phone motion-based, and web-cam vision-based installations. This five second video provides a snippet of the computer vision, visitors, and animation involved in the final installation.